Operational safety shall be ensured by providing protection against over speeding of cabins and against reversal of rotation. Operational safety shall also be ensured against availability of service and emergency brake suitably interlocked. In case of Power failure, emergency brake shall automatically be active and stop Drive. Operation safety shall further be ensured by providing a Grip Testing Device at exit point of each terminal station which will ensure proper locking of carriage grips with Rope. In the event of improper gripping, Ropeway drive shall be automatically tripped. Line safety shall be ensured by providing suitable rope gauge with a view to having adequate clearance between Cabins while crossing each other during normal wind condition. 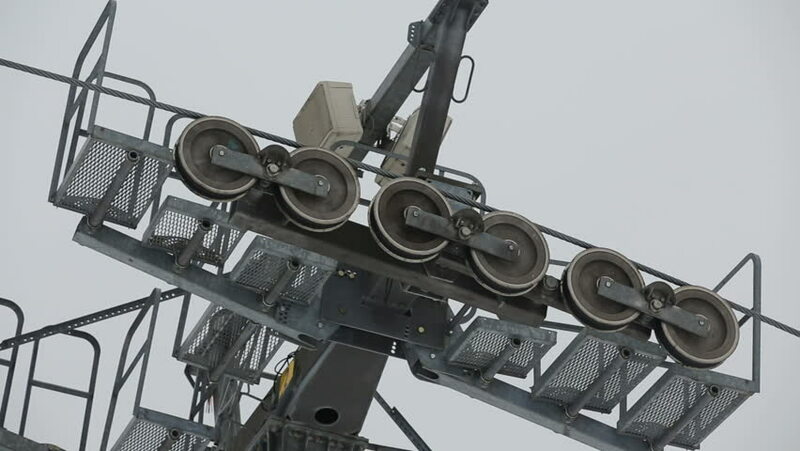 An Anemometer shall, preferably, be provided and linked with control circuit so that for a sudden increase in wind velocity, an audio- visual signal shall be active, and drive operator shall stop the Ropeway after reaching Cabins on line to respective terminals. 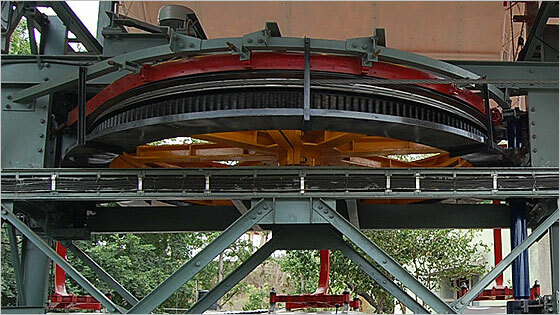 Line safety shall further be ensured by providing a "Rope Catcher and Rope Guard" which will arrest rope in the event of any accidental occurrence of rope coming out of Line Rollers and at the same time trip the drive. Electrical protection shall be provided by way of Thermal Overload Relay, Under Voltage Relay, Single Phasing Preventer, HRC Fuse, Earthing / Grounding of equipments etc. In the event of electrical power failure, standby diesel engine shall be started to drive Ropeway and bring cabins to respective stations.